Learn to fly in the Himalayas - the weather conditions are perfect for paragliding with stunning views of the mountains. The APPI Open Sky course will take you step by step to the freedom of the skies. You begin with ground training learning to learn to launch and control the paraglider. Small flights will give you the confidence to take the bigger step into the air. Tandem flights are also available. You move onto high solo flights when your instuctor and you feel you are ready. What a feeling - a new dimension! We are normally based in Pokhara during this course, the progression and thermalling courses may be on other sites where we will stay overnight. Day 1. Intro to Equipment. 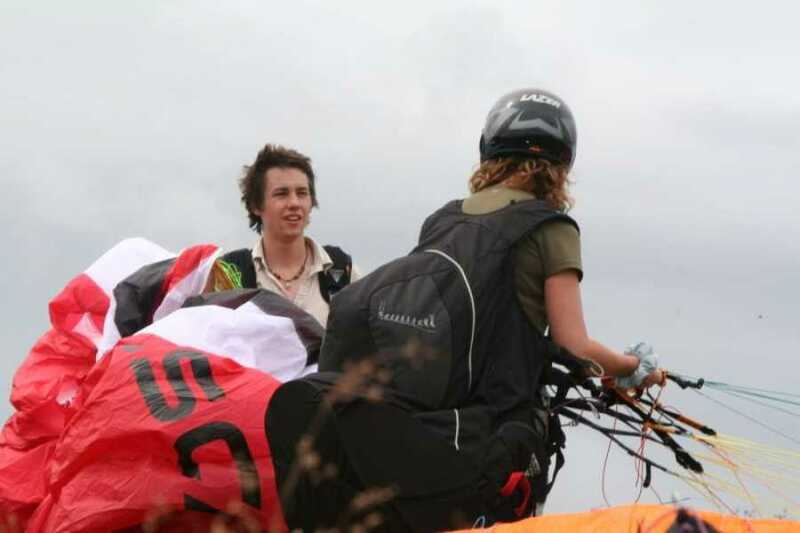 You start on a gentle slope learning to inflate and steer the paraglider whilst running. Day 2. More ground training practising inflation and gaining control. Harness simulator. Tandem flight may be possible. Day 3. Small flights, Theory. Day 4. Normally 1st high flight Mandridunga or Sarankot. 800 meters. Day 5. Normally 1 or 2 high flights depending on weather conditions. ➢ AIRLAW : Consider and respect environment and rules of site/ Airspace rules and anti-collision rules.